Always fascinated by rockpools! 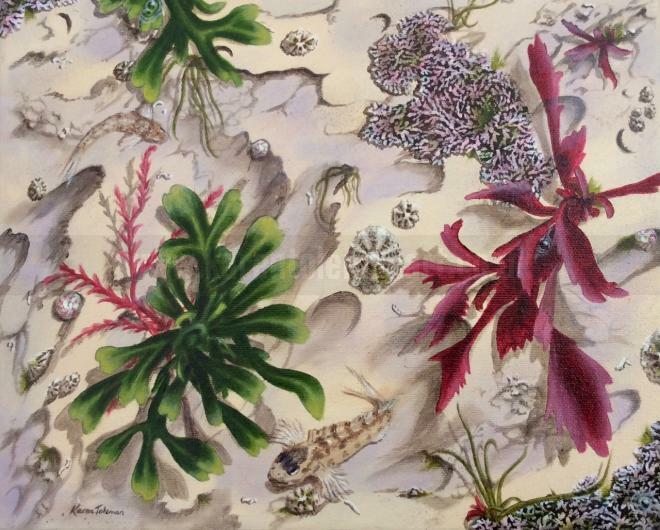 This painting features a Tompot blenny, whilst other creatures dart and hide these are very often looking up at you, defying you to enter their territory. This painting can be purchased alone or alongside Rockpools 1 and 2 to form a triptych. It has been designed to hang centrally to the other two paintings. All are framed with a white tray frame. If interested, please contact me for photographs and price.